An AED acquirer must ensure that users of the AED are successfully trained in CPR/AED and be the only ones who use the device in a medical emergency. Medical oversight must be provided by an Illinois licensed physician to ensure compliance. Such an acquirer must register the AED with an agent of the local EMS system or vehicle dispatch system of the existence, location, and type of the AED. The AED must be maintained and tested according to the manufacturer’s guidelines. Any person who renders out-of-hospital emergency care or treatment to a person in sudden cardiac arrest by using an automated external defibrillator must activate the EMS system as soon as possible and report any clinical use of the AED. Good Samaritan protection is extended to gratuitous good faith rescuers. This protection also extends to physicians who authorize the purchase of an AED; AED trainers; and owners, occupiers, and managers of premises where an AED is located. Physical fitness facilities, including outdoor facilities, must have an AED on site and at least one trained AED user on staff during certain activities and events. Dental offices that administer anesthesia or sedation must have an AED on the premises. Licensed horse racing facilities must have at least 2 AEDs on the premises. Each sheriff’s office and certain police departments must have an AED on site. The law requires training in CPR/AED to be a part of the secondary school curriculum in the state. EMC CPR & Safety Training has all the necessary services to make your facililty Illinois AED legally compliant. Contact us today to learn more. Beginning with the 2014-2015 school year, training on how to properly administer cardiopulmonary resuscitation (which training must be in accordance with standards of the American Red Cross, the American Heart Association, or another nationally recognized certifying organization) and how to use an automated external defibrillator shall be included as a basis for curricula in all secondary schools in the state. Sudden Cardiac Arrest Prevention Act – Requires the Department of Public Health and the State Board of Education to post guidelines and other relevant materials on their websites to educate student athletes, their parents, and their coaches about the nature and warning signs of sudden cardiac arrest. Suspends athletic activity for students who currently or in the past have exhibited warning signs of cardiac arrest until he/she has been evaluated and cleared for participation by a physician. Requires all physical education teachers, coaches, referees of interscholastic athletics, student athletes, and athletic trainers to watch a CPR/AED training video annually. This video should also be accessible to parents and staff free of charge. 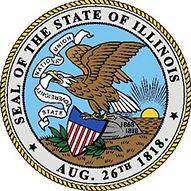 Amends the Illinois Horse Racing Act of 1975. Organization licensees shall make available no less than 2 AEDs that are operational and accessible when backstretch workers are present at their racing facilities. At least on AED shall be placed in the paddock of their racing facilities and on placed on the backstretch of the facilities. Amends Good Samaritan Act. Provides that any person who in good faith (instead of any person currently certified in CPR), not for compensation, provides emergency cardiopulmonary resuscitation to a person who is an apparent victim of acute cardiopulmonary insufficiency shall not, as the result of his or her acts or omissions in providing resuscitation, be liable for civil damages, unless the acts or omissions constitute willful and wanton misconduct. Amends physical fitness facility AED requirements by removing the requirements of HB 1279 stating that if a building is not within 300 feet of an outdoor event, the AED trained responder must have the AED unit with him or her during the event. Also stipulates that the size of the area or the number of buildings or floors that occupy a facility shall determine whether or not more than one AED unit be on the premises. Requires a written emergency response plan and an AED in dental offices that administer anesthesia or sedation. Amends physical fitness facility requirements that indoor and outdoor facilities have an AED on-site. Also specifies that there must be an AED trained user on staff at all physical fitness activities. The outdoor fitness center must have a building within 300 feet of the event or activity with unimpeded access to the AED. If a building is not within that distance, the trained AED user must have the AED unit with him or her during the activity. Revises Good Samaritan protection to provide immunity for an agency, organization, or individual who sponsors, authorizes, supports, finances, or supervises the training of persons in the use of automated external defibrillators. Provides for similar immunity for an individual who teaches such a course of instruction. Creates the Automated External Defibrillator Act. Provides for training, maintenance, and oversight requirements concerning automated external defibrillators. Training must include complete CPR training in addition to AED training. Establishes immunity protection for the physician who prescribes the AED, the owner of the AED, and the person who owns, occupies or manages the facility where the AED is located and used. Creates the Physical Fitness Facility Medical Emergency Preparedness Act also known as the Colleen O’Sullivan Law – Requires various indoor physical fitness facilities to have at least one automated external defibrillator. This law does not include health facilities that serve less than 100 individuals, or that is located in a hospital, hotel/motel or any outdoor facility. It also does not apply to facilities that do not employ people who instruct, train or assist people who use the facility. The facilities that are required to have an AED on-site must have had a written emergency response plan in place by July 1, 2005.